Chanteur Country US né le 29 Mars 1930 à Harlan County (Kentucky). 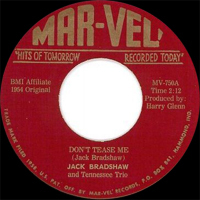 Jack Bradshaw fit ses débuts en 1954 pour Decca puis Mar-Vel Records de Hammond (Indianna). Il oscillait entre un Hillbilly teinté de Rockabilly et la ballade Country où sa jolie voix intimiste prenait toute son ampleur. US Country singer born on March 29, 1930 in Harlan County (Kentucky). 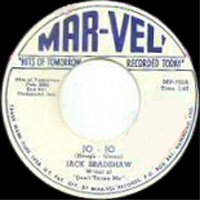 Jack Bradshaw made his beginnings in 1954 for Decca then Mar-Vel Records of Hammond (Indianna). 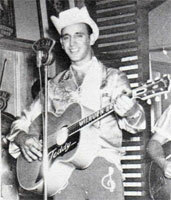 It oscillated between tinted Hillbilly of Rockabilly and the Country ballade where its pretty voice intimist became all his extensive.